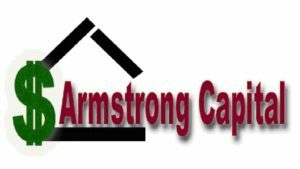 As many of you might know I started my cash flow business, Armstrong Capital, back in May of 1991. At that time I went through the five day boot camp course that was designed to teach us solely about purchasing and brokering of one income stream, seller financed real estate notes, the now referred to as the private mortgage niche. When I came out of the class there was no funding source directory, no member advisors, no Master Brokers, no internet, minimal support and lots of questions still lingering in my mind. One of my first projects was to try and find more funding sources that were willing to work with a note broker (now termed consultant). They gave us a few sources but I felt I need more of a range of funding sources to properly attempt this business. By the way, this set back has been completely eliminated in today’s 3-day course; ACFI gives you dozens of funding sources to work with immediately. In my search for more funding sources I stumbled upon Larry and Lorelei Stevens of Wall Street Brokers, Inc. in Seattle, WA (206-448-1160). Larry and Lorelei are a father and daughter team of investors that have been purchasing real estate secured notes, business notes, divorce liens and much more for at least 30 years now. They were instrumental in my beginning years with assisting me in closing many of my first several transactions and many more since then. It was Lorelei who inspired me to write articles for various real estate magazines and suggested different types of marketing methods. They truly were an example of success in this industry that I have been trying to model since the day I first contacted them with the hopes that one day one of my daughter’s will work with me as well. As time went by I was put in touch with a man by the name of Jon Richards. Jon Richards was the owner of the NoteWorthy Newsletter who passed away recently. From the first time I contacted Jon to the last time I spoke with him he always made it a point to take the time to listen and assist me with whatever he could. He had a genuine spirit of giving and sharing of his time and information that went beyond what anyone else in the industry had ever shown me. With Jon on my side I was inspired to reach my own success and follow in his footsteps. Following his example I now give my time and share my knowledge, information and experiences as a visiting instructor, Master Broker and speaker at industry conventions. I will continue to give back and share as much as I am able. One of the funding sources I was able to find early on was Metropolitan Mortgage and Securities, now Western United Life Assurance Company, 800-268-9184. On my first transaction with them I was assigned to work with Jerry Rhines, one of their contract buyers. Jerry walked me through a few transactions on exactly how to package a deal, what was needed, what was not necessary and how to lay out a complete package in such a way as to give all of the pertinent information so that they, the funding source, could move on it as quickly as possible. Jerry was somewhat strict and after those first few transactions would not accept a package from me unless it was done properly. I can now thank him for this because now I have a good reputation with the funding sources for always providing a complete package upon acceptance. Not only did he teach me the correct way to present a package to a funding source but he also showed me a few years later how to keep the back end of a mortgage for myself on occasion. By purchasing a full and selling them a partial I have been able to build up a valuable source of residual income. Jerry is no longer with Western United but we still keep in touch to this day. I believe that Jerry played a big part in assisting me with molding my business into what it is today. In addition to individuals I have actually met I must include at least one book that has inspired me to be successful. The author is Napoleon Hill and his book is “Think and Grow Rich”. This one book alone has given me direction, shown me the value of persistence, how to set and accomplish goals, the steps it takes to be successful and the strength of having a burning desire to succeed. If you have not read this book already I suggest for everyone to pick up a copy and read it through several times in hopes that it will enlighten you as well. The cash flow industry is a business. Like every business there is no one secret to being successful. Persistence, associating yourself with successful people, changing or tweaking your business when appropriate, dedication, focus, desire and effort all are a part of becoming successful in whatever you do. I can only hope that as a visiting instructor, speaker and Master Broker that I am able to give back to the cash flow industry and assist and inspire success in people the way that these individuals have done for me.